In the 2002 movie “Panic Room”, our main character played by Jodie Foster and her daughter (a yet unknown Kristen Stewart) moved into a posh building that had three stories and featured not only the titular panic room, but also an elevator, as the previous owner was disabled. While the elevator was not essential to the story, it was highlighted as an option that made the house so “decadent”. The idea of an elevator in your home has always seemed like something that only rich people with mansions would choose. Now, thirteen years later, home elevators are becoming more popular than ever, especially in places such as Southern California. A report released by the National Association of Home Builders shows that nearly 25% of new home buyers rate a home elevator as a desired or essential part of the house. Back in 2002 that figure was only 8%. Why the change? There are several factors driving this trend, but mostly it seems to be that more homeowners are planning ahead for when traversing stairs will become too much of a hassle. Many new buyers are planning on “aging in place” and want to take care of installations and renovations that will assist them in old age while they are still able to afford it. One of the other reasons for the surge in elevator installations is that the cost is becoming relatively lower. For a typical two story lift, it can run between $21,000 and $28,000, not including permits. This is also to install an elevator for a new home. To put one in an existing home can run upwards of $125,000. Fortunately, however, new technology in pneumatic tube style elevators is drastically reducing the cost, making an installation worth only a few grand. These aren’t as capable of cable-style elevators, but they can get the job done quickly and efficiently if all you’re looking for is to transport one or two people with minimal cargo. To cater to this new trend, many builders and designers are starting to incorporate elevators into their floor plans so as to attract this new wave of buyers. 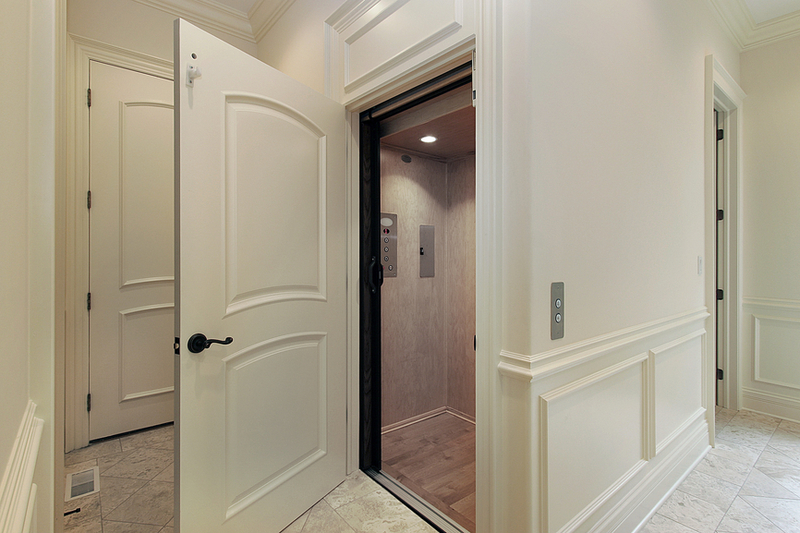 Elevators are becoming customizable to fit better with the overall look and feel of a home. Wood panel lifts are used for more traditional style houses whereas glass window elevators are becoming more popular, due in part to their anti-claustrophobic feel. As far as market trends go, this one seems to be one of the more practical options. As the population grows older, demand for elevators will only increase, meaning that we may see a day where the majority of homes will come equipped with a lift. Thank you for the information on home elevators!